Joseph Kimmerer goes up for the floater during Hale's victory over Hillman. HILLMAN, MI — Hale is quietly having a solid season in the North Star League’s Little Dipper. The Eagles entered the game with an 8-4 record as they traveled to Hillman with a match up against the Tigers. Hillman took a 10-8 lead after the first quarter, but the Eagles managed to jump ahead 21-16 as they entered halftime. 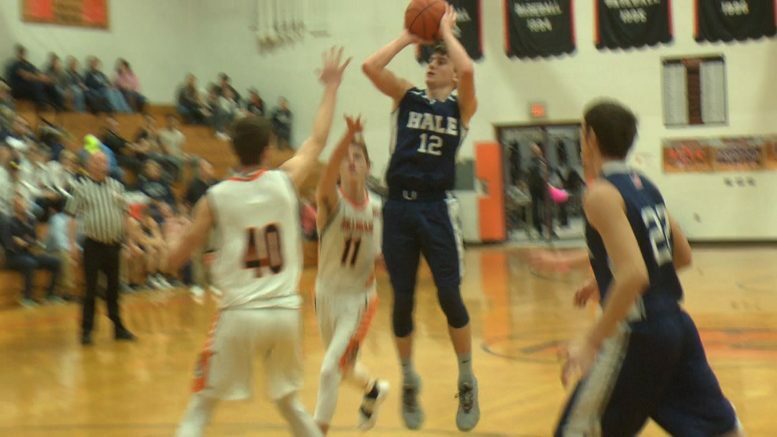 Hale ultimately won the game 54-47. The conference game keep Hale on top of the Little Dipper.